Hotel de Sévigné - Champs Elysées, Paris. de Sévigné - Champs Elysées Hotel Paris. The Hotel de Sévigné Champs Elysées is a comfortable and conveniently located hotel just a few steps away from the Arc di Trionfe and a few minutes from the Eiffel Tower and the Trocadero. Our hotel offers excellent services and spacious rooms. 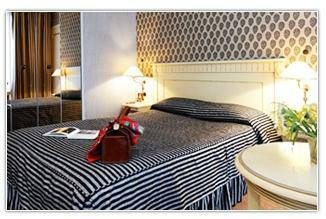 All of our rooms are decorated in authentic style and elegance. It is possible to choose from many categories of rooms; single, superior room or a prestige room. All of them offer superior amenities such as satellite TV and Wi-Fi connection.